Breathwork is a powerful form of active meditation done lying on your back, breathing to music. In this class you will be guided through a 2-stage breath that effectively clears out energetic blockages so you can tap into your intuition and higher potential. By accessing a non-ordinary state of consciousness, this form of breathing enhances creativity, confidence and clarity allowing you to get clear on what you want, then showing you the path to take to get there. Rob Starbuck discovered his passion for breathwork after playing football at Georgetown University, then moving into a 9-5 post college. Rob felt called to leave his previous life behind and move to LA to adopt a healthier lifestyle. 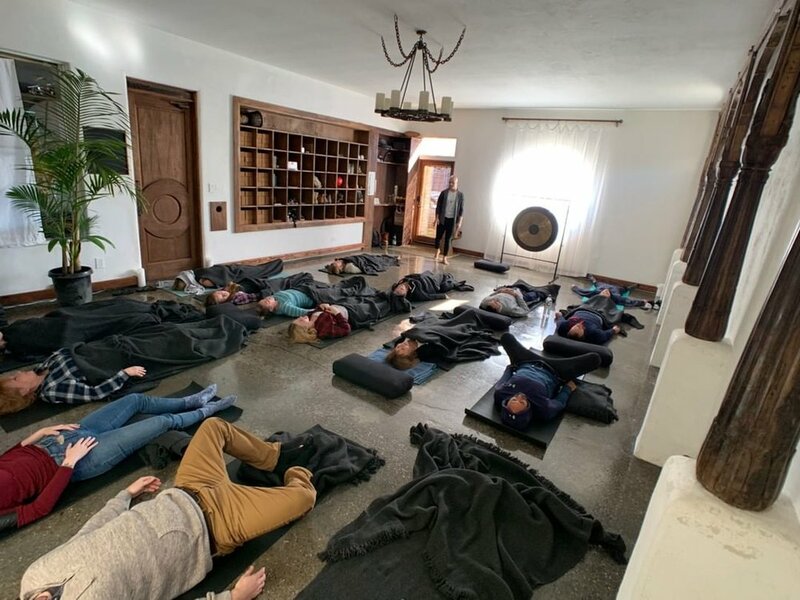 It was through this transition from Chicago that he found the power of breathwork and is now sharing this transformative practice with others around Los Angeles. Rob believes breathwork to be the most effective modality in achieving clarity, connecting with our authenticity, and tapping into the deep pool of creative energy we all have access to. Through breathwork, Rob's goal is to inspire you to be your unique, authentic self, so that you can impact the world in a way that only you can.